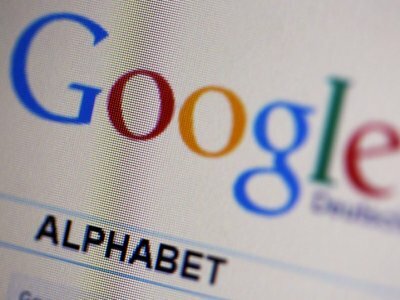 Google’s parent company, Alphabet Inc. is growing bigger and it’s still one of the biggest technology businesses in the world despite huge chunks of losses that are piling up in Alphabet’s “X” lab, a wellspring of far-out ideas that has become known as a “moonshot factory” since Google co-founder Sergey Brin launched it about six years ago. Although Alphabet doesn’t specify just how much money it pours into the X lab, it is among the costliest drains in a far-flung category that falls under the “Other Bets” segment in the company’s financial statement. Alphabet’s second-quarter earnings report, released on Thursday, showed an operating loss of $859 million in Other Bets, widening from a $660 million loss a year ago. It’s the second consecutive quarter in which losses have deepened. Last year, Other Bets lost $3.6 billion, exceeding the annual revenue of many companies. However, that’s only one part of the story. There was a reason that earnings report boosted its shares by as much as another 5 percent. Powered by Google, Alphabet earned $4.9 billion during the April-June quarter, a 24 percent increase from the same time last year. After subtracting ad commissions, Alphabet’s revenue climbed 22 percent to $17.5 billion. Google reported earnings per share of $8.42 on revenue of $21.5 billion. Analysts were expecting earnings of $8.03 per share on $20.76 billion in revenue. This shows that Alphabet’s strategy of offsetting its declining advertising value with a huge increase in volume — as is necessary with the increasing shift of usage to mobile devices — appears to be working. That big surge in its advertising revenue was a result of increasing use of search on mobile devices, according to CFO Ruth Porat on the earnings call. And, to no surprise, both companies continue to print money — yet both are in an interesting position in where their traditional businesses are being challenged.